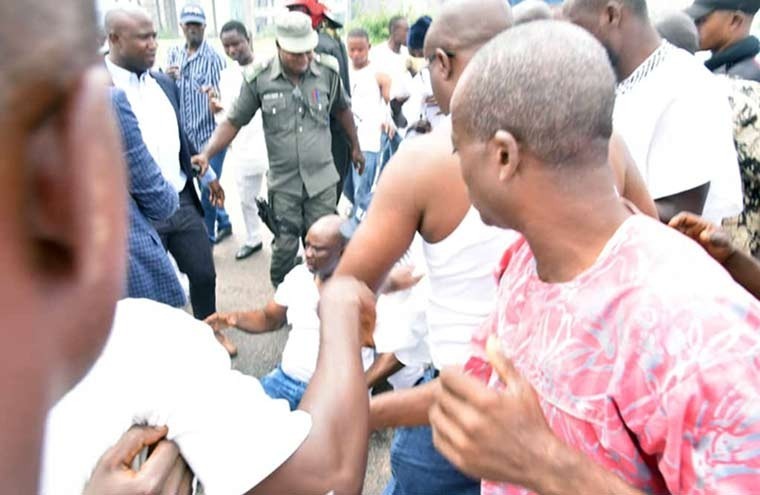 Reports indicated that armed policemen on Wednesday morning allegedly sealed off Ekiti Government House and prevented supporters of Governor Ayodele Fayose from entering. According to reports, policemen rained teargas on the governor causing him collapse. 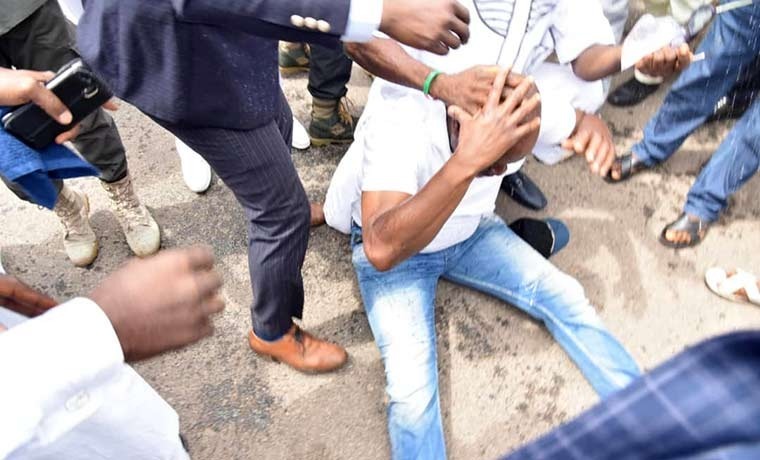 The governor, who had planned to hold a last minute rally before the Saturday governorship election, was teargassed and hit butts of the guns in the neck by the policemen. 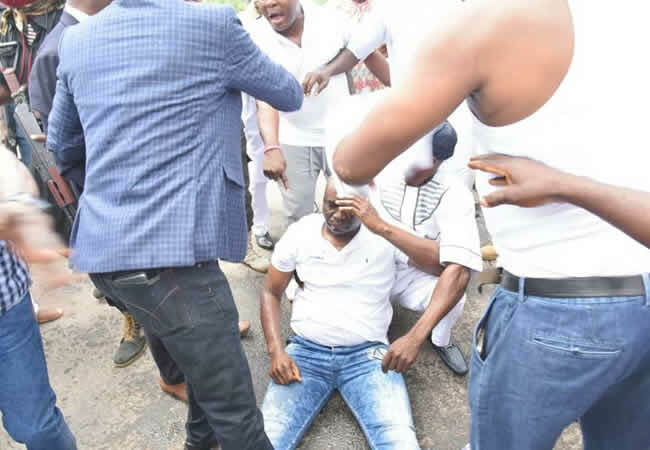 According to reports yet to e independently verified by The Rainbow News, Fayose collapsed on the spot and had to be revived and taken to the Government House Clinic. It was learnt furthter that after about an hour, he came out to address the large crowd that has gathered at the Government House Grounds for the proposed rally. After speaking for a few minutes and fielding questions from reporters, he again collapsed while going in and was rushed to the Ekiti State Teaching Hospital, Ado-Ekiti. Meanwhile, armed policemen have also taken over the Peoples Democratic Party State Secretariat in Ado-Ekiti preventing party leaders from going in. Posters and banners of the party:s candidate, Prof. Kolapo Olusola, were vandalised. PDP in an official tweet condemned the attack on the governor by the operatives of the state just a few days to the election in the state, where the ruling ApC has thrown a lot of effort to see how they can loosen the iron grip of the governor on the state. The party claimed that the attack was orchestrated by the President Muhammadu Buhari, expressing concern this braggadocio might be the emerging pattern of things to come ahead of 2019.